Osborne promotes British banking Jump to media player BBC Newsnight's David Grossman spent the day with Chancellor George Osborne in New York, as the pressure rises on banks to curb Christmas bonuses. Will banks reduce bonuses? Jump to media player Charlie Parker, Investment Editor, with Citywire, discusses the possibility that Britain's biggest banks are talking about a possible deal to pay smaller bonuses. The government is under pressure to act as banks prepare to award bonuses worth billions of pounds in early 2011. Deputy Prime Minister Nick Clegg says "this government cannot stand idly by," if banks "get away scot-free." But what does any of this mean? 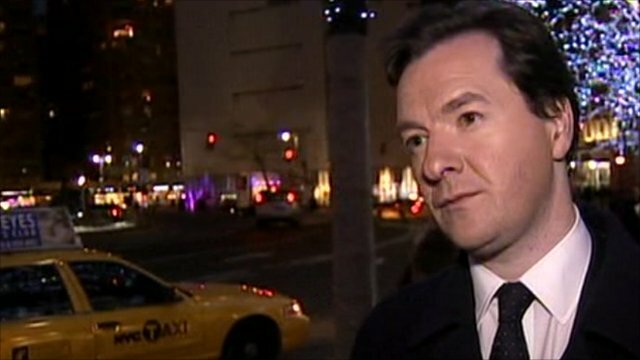 BBC Newsnight's David Grossman spent the day with Chancellor George Osborne on Wall Street promoting Britain as a good place to do business. 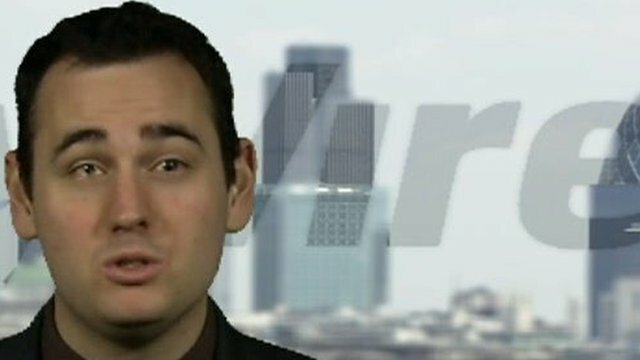 Go to next video: Will banks reduce bonuses?